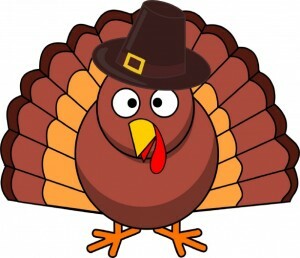 We here at LauraLaw want to wish you a Happy Thanksgiving. With all of the family time, avoiding political debates, and football watching, you might be inclined to imbibe in some adult beverages. Beware out there! There are almost always DUI Checkpoints set up for “Blackout Wednesday,” Thanksgiving, and Black Friday. The safest way to avoid DUI Checkpoints is to take a taxi, Uber, Lyft, or ride from your mom. If you find yourself parked on the side of the road with police lights flashing in your rear view mirror, remember to be polite, refuse to perform field sobriety tests, refuse to submit to a breath or blood test, make no statements, and call one of our experienced attorneys! We will help you navigate the complex web of DUI Checkpoint law and license suspensions law that you will have to fight. Here’s to hoping you are not arrested for DUI, that you have a great Thanksgiving, and that you remember what it is you are thankful for!